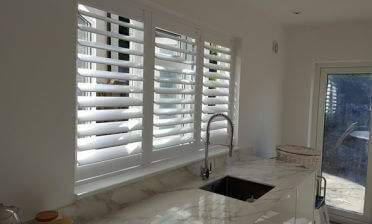 We were recently in Herne Hill which is located in South London to fit some shutters to a client’s bathroom window. They were looking for a window covering rather than just having the standard frosted glass window. 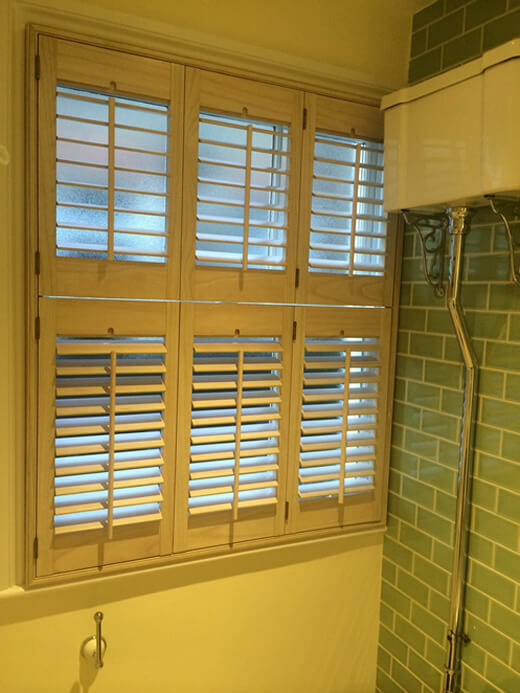 The shutters really help the bathroom achieve better regulation of light, added privacy as well as insulation in the colder months. 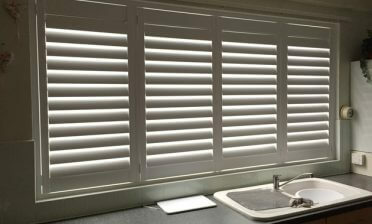 The Shutters are created from our Fiji Range which are probably best known for the natural water resistance property which comes as standard. They can also be finished in a wide range of paints and stains depending on the look you are trying to achieve. 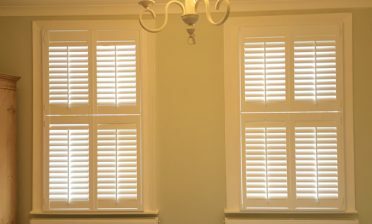 Using a tier on tier style the top and bottom sections of the shutters can be opened and operated independently of each other with hinges strategically placed so that the shutters can be flung open for access to the windows. Featuring central tilt rods and antique brass hinges, the client opted to have the shutters completed in a lovely Limed White finish.